With Christmas just around the corner, I’m definitely getting in the holiday baking spirit! I’ve been itching to bake with the traditional flavors of the season: gingerbread, cinnamon, chocolate/mint, and cranberry, to name a few. However, I’m watching my waistline, so I typically don’t bake unless I’m going to be meeting up with a group, and can give most of the treats away. Because if I have delicious sweets in the house, I will eat them all! Luckily, I met up with a group of food blogger friends the other night for dinner, which provided me the perfect excuse to bake + share these Chocolate-Gingerbread Bars. So, how did they taste? Awesome! These bars are a perfect hybrid between gingerbread and a brownie. Sometimes traditional gingerbread can be a bit too intensely spiced for me, but in these bars, the spice is wonderfully balanced my the richness and sweetness of the chocolate. And the texture is fantastic – dense enough to feel a bit decadent, but with some of the lightness/airiness of traditional gingerbread. These are scrumptious as an afternoon pick-me-up with a cup of tea, or a late-night sweet with a mug of hot cocoa. And SO perfect as a holiday treat – hope y’all try ’em! Preheat oven to 350 degrees. Butter an 8-inch square baking pan. Line bottom with a strip of parchment paper, leaving an overhang on two sides; butter paper. Dust paper and sides of pan with cocoa; set aside. In a medium bowl, whisk together cocoa, flour, ginger, pumpkin-pie spice, and baking soda; set aside. In a large bowl, whisk together melted butter, brown sugar, molasses, egg, and sour cream until smooth. Add flour mixture; stir just until moistened (do not overmix). Stir in chocolate chips. Transfer batter to prepared pan; smooth top. Bake until a toothpick inserted in center comes out clean, 30 to 35 minutes. Transfer to a wire rack; let cool completely. Using paper overhang, lift gingerbread from pan. Transfer to a cutting board, and cut into 16 squares. Before serving, dust bars with confectioners sugar, if desired. I love chocolate and gingerbread together! These would definitely disappear around me. I don’t think I had ever had chocolate + gingerbread together before making these, Erin, but I do love the combination now, too! They work together so well. i love this combo! for SRC i made gingerbread bars with dark chocolate chips. i couldn’t believe i never had had gingerbread and chocolate together before. it’s so wonderful!! This sounds like a great combo. I have also been avoiding baking for the same reason. The kids have class parties on Friday so I may use that as a reason to make something sweet. Drooling over my keyboard for these! I love gingerbread and of course, chocolate. I need to bake these! Well, I love brownies and I loe gingerbread, so I am betting I am going to like these! They look wonderful. Have fun doing your Christmas baking! I’ve never tried combining gingerbread and chocolate before! Sounds amazing! These sound like a great combo, Amy! I love the idea of hooking chocolate up with gingerbread! So festive too! I recently made gingerbread bars with chocolate chips but not cocoa. Mine were delicious. I can only imagine the goodness of these bars. I am in such a mood to bake now I have a sweet treat almost every day. However, they must leave the house for someone else immediately or I would have a stomach ache from all the sweets I would be eating. I made chocolate gingerbread cookies from Martha years ago and they’re still one of my favorites to this day. 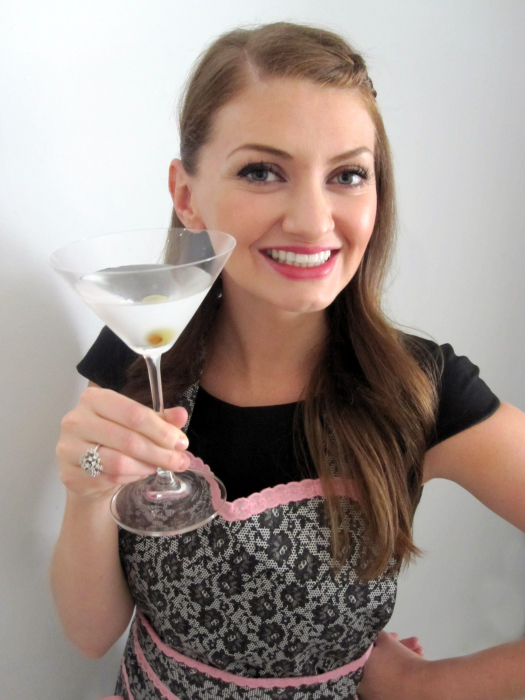 I’m excited for a bar version – these are definitely being added to my to-do list as we speak! It’s as if you read my mind! Chocolate and ginger are my favorite. These look amazing! I love the gingerbread and chocolate combo! I’m the same way, I don’t bake unless I know I have someone to take it off my hands. Luckily, my husband has an office full of people who’ll eat them so I lucked out. 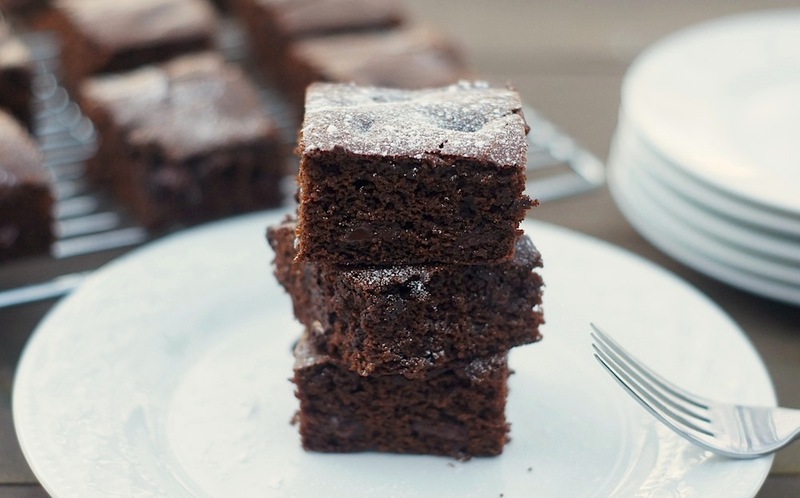 These brownies look amazing. I love the sound of these hybrid brownies. I’ll be putting this on my to-bake list. Thanks for posting Amy. Have a great rest of the week. I’m the same way, Anne! My husband has an office full of coworkers, too, so I send lots of sweets in to work with him …. and away from tempting me in the house! I love gingerbread flavored everything! I’m pinning this RIGHT NOW! YUMMY! Those blogger friends of yours were so lucky to receive these gorgeous gingerbread bars! They look so soft, fluffy and full of warm winter spices! Love them. Happy holidays to you and your family! These look wonderful! I love the combination of the chocolate and gingerbread. Chocolate and gingerbread combined…now you have done it. I’m going to have to start baking again. The bars sound awesome with that amazing combo of chocolate and gingerbread. So thick. So chocolatey. So decadent. Great recipe, Amy. Have a happy holiday! Made these yesterday…they were delish! Packed ’em up and sent them in with the hubby to work today so they were out of the house! I’m like you – I try not to bake unless I have someone to share with! I love ginger and I love chocolate so these are a winner! Yum! I so need these in my life right now! 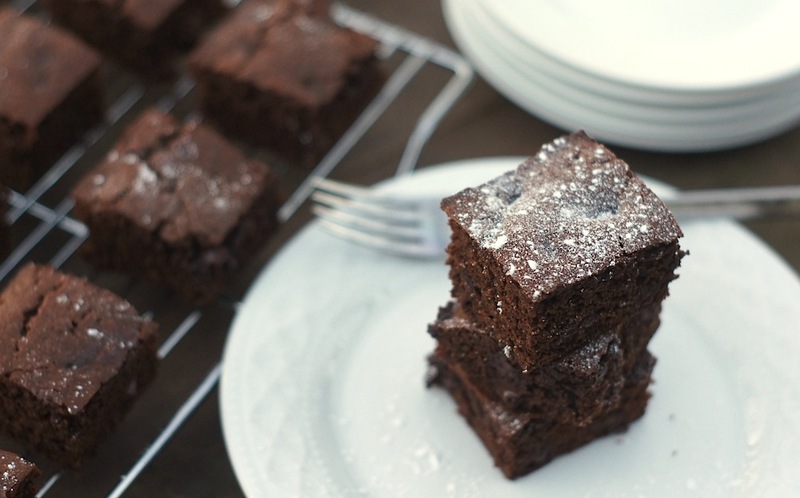 I love a good brownie recipe. Add in the gingerbread part and it’s a double whammy of awesomeness. Pinning! Next post: The most popular posts of 2013!